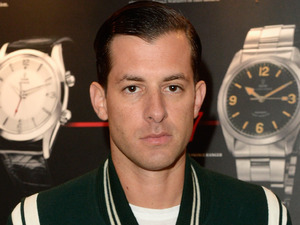 Mark Ronson has retained the number one spot in the singles chart with ‘Uptown Funk’. 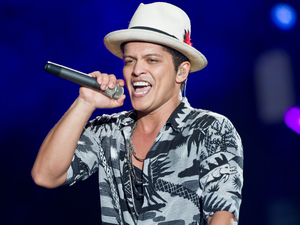 The track, featuring Bruno Mars, is spending its fourth non-consecutive week at number one and has been streamed 2.43 million times in the past week. Ronson’s ‘Uptown Funk’ currently holds the streaming record with 2.56 million streams in one week. 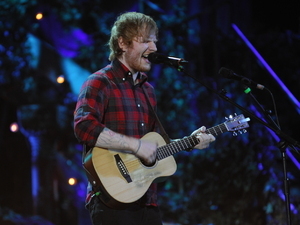 Philip George stays at number two for the second week with ‘Wish You Were Mine’, and Ed Sheeran’s ‘Thinking Out Loud’ holds onto the number three spot, its 29th week in the UK singles chart to date. Olly Murs and Demi Lovato’s duet ‘Up’ moves two places to fourth spot. Completing this week’s top five singles is Hozier’s ‘Take Me To Church’, which rises five places. The only new top ten entry this week is ‘Promesses’ from Tchami, featuring Kaleem Taylor. It is the French DJ’s first UK top 40 entry. Outside the top ten, Kanye West and Paul McCartney’s ‘Only One’ leaps from number 35 to number 28, and Beyonce’s ‘7/11’ re-enters the top 40 at number 33. Meanwhile, Brits Critics’ Choice winner James Bay leaps 44 places to number 36 with ‘Hold Back the River’. US band Echosmith land their first UK top 40 hit with ‘Cool Kids’, entering the chart at 39.